Heart shaped box from Randi. The box is decorated outside and inside with a Flat Back Pearl String and Dove Embellishment. You can make a bow using one of the Vintage Ribbons and finish it with a Colour Flat Back Pearls in a diamond circle. Add your favourite flowers and write some dedication. The box is ready! Just lovely card from Bev. Use colourful papers, a piece of lace, sweet picture. Add some chipboards, adhesive rhinestones and of course flowers. You can use Red Wild Roses QVR-019 or from mixed QVR-039, Open Roses mkx-001 and Fabric Daises mkx-462. Finish the card with regular White Stamens mkx-470. This card was made by Lisa. She used White Flower Making Foam to create the big pink flowers which she coloured with oil pastels and baby wipe. 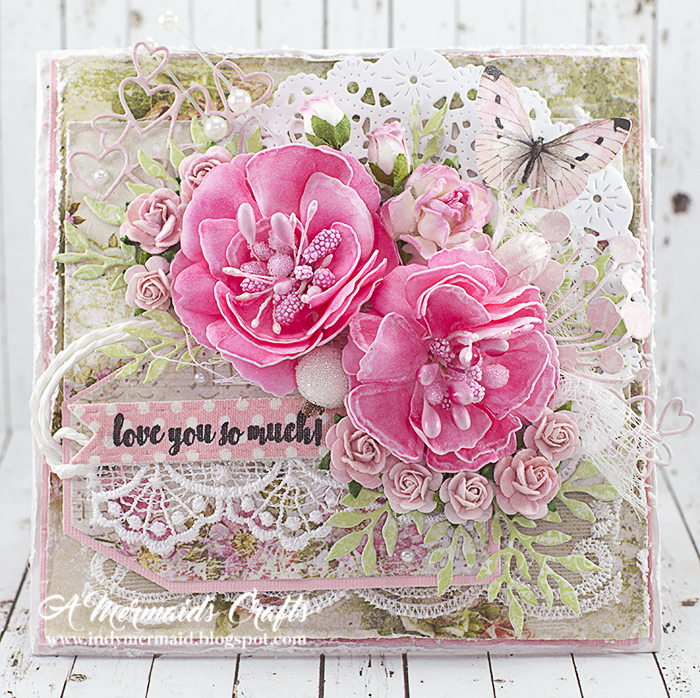 Adding a lace, rosebuds and open roses gives the card a romantic touch. 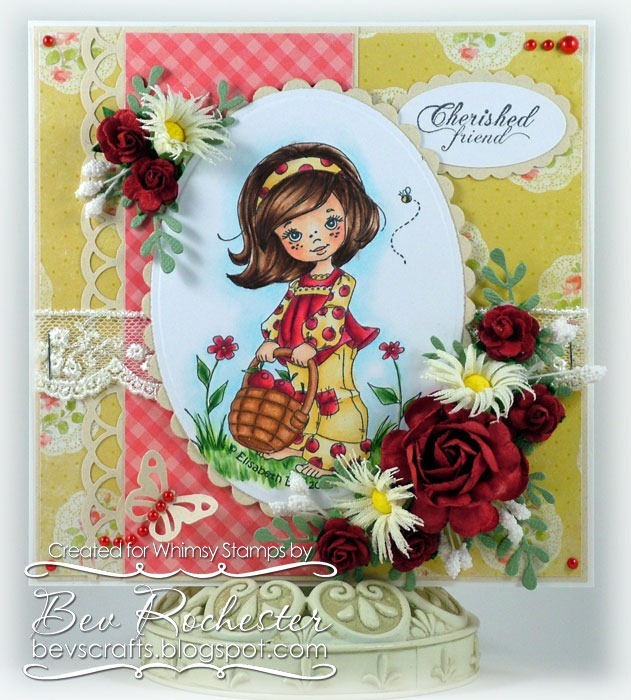 Finish with a floral background and paper embellishments. 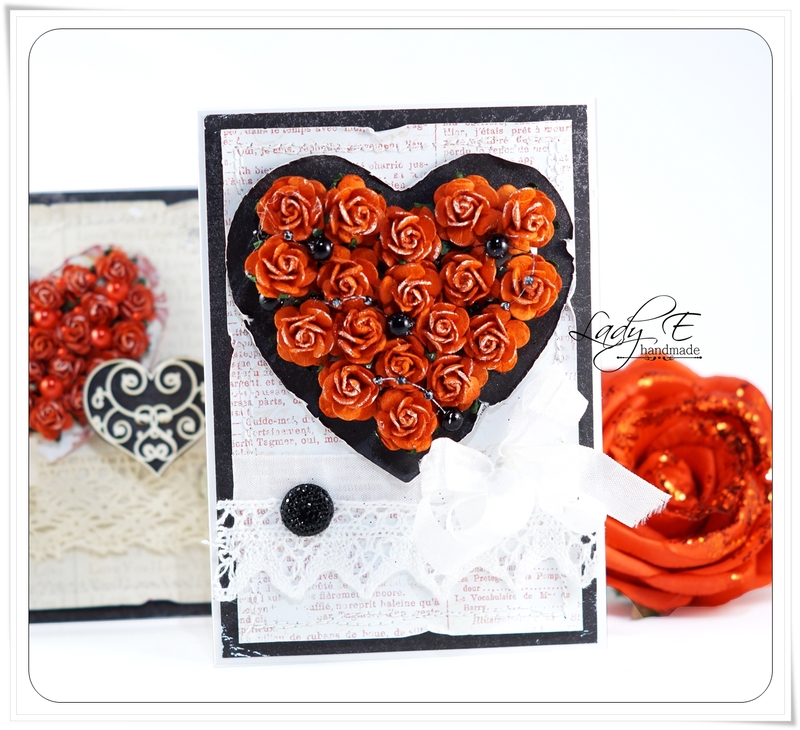 These two cards were created by Lady E. Simple and genius idea - hearts filled with red roses. The first card is black and white, decorated with a lace bow. 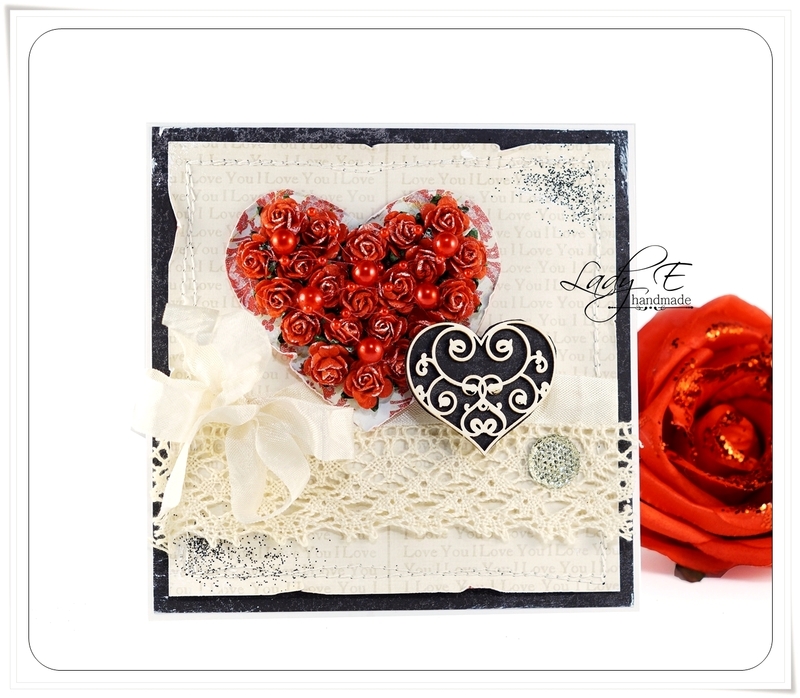 You can cut out the background from an old newspaper with a love story :) The second card in black and ivory tones, more soft and vintage. Colourful, joyful and bright card from Jacque. These are not usually Valentine's colours, so we love the idea to brake the rules and play! A lot of juicy colours, figures and shapes and pastel, modest girl in the centre is a perfect contrast. Use Self-Adhesive Rhinestones to finish the work with a little spark. Another unusual Valentine's colour palette, this time pastel. Necessarily use pastel background with only a few larger elements. Make flower decoration. the best will be from Pastel Mixed Magnolias and Mixed Blue or Mixed White-Cream Lilies. You can colour Paper Mulberry Leaves or choose 2-toned. Finish with Moonstone Brads, Self-adhesive Pearls or Rhinestones. 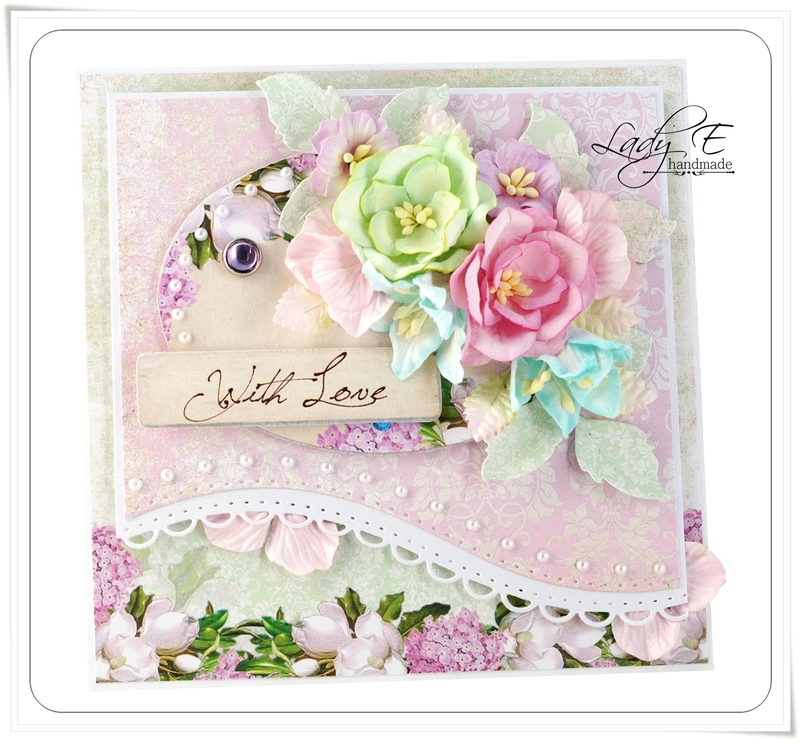 The idea is from Lady E.
Another sweet and pastel card from Dawny P. Use Open Roses and Rosebuds to make a garland. Small bows with pearls will add a pretty and innocent look. 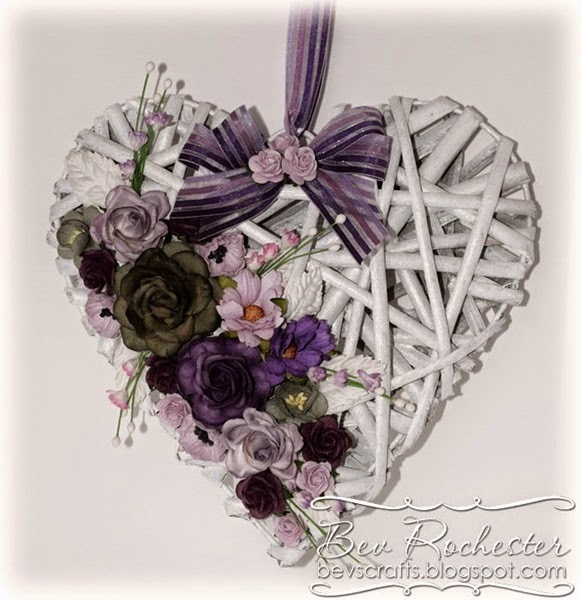 Why not decorate a heart with flowers like Bev did? Choose violet and lilac tones to make less obvious look. Add a deep green accent to get a sophisticated, decadence effect. 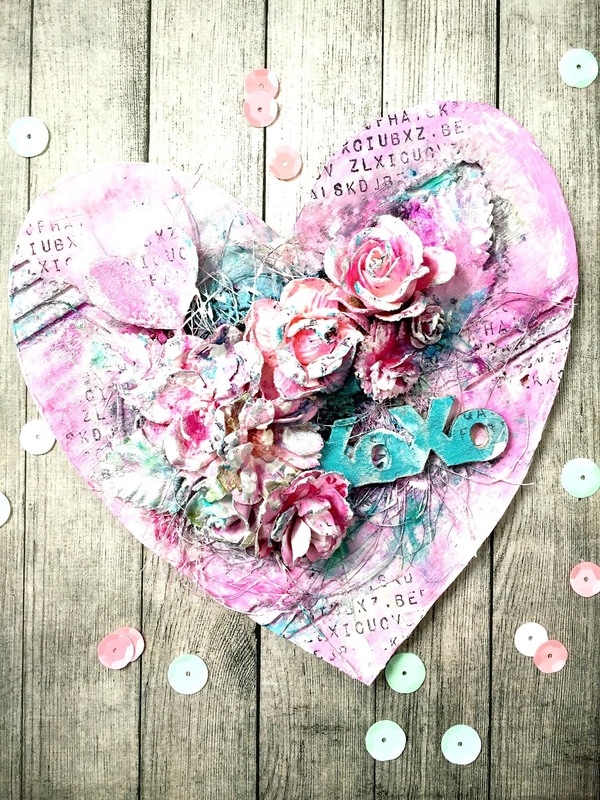 A card also in violet tones but in a sweet, romantic style made by Kylie Kuetel. Use Cherry Blossoms, 2-toned Open Roses and Beehive Blossom Flowers or Organza Rose. Paint white Metal Filigree Corner, add some Vintage Ribbon and Lilac Self Adhesive Pearls. Finish with Plum-White Divine Twine, Lilac Crown Pin and White Paper Heather. Funny, playfull heart in candy colours :) This project comes from Mirelle. Use your fantasy and play with pink, mint or turquoise to make a bright contrast. Mix Baby Pink Open Roses mkx-006 with Light Turquoise Open Roses mkx-029 or Aqua Open Roses mkx-030 and Pink Open Roses mkx-007. Lovely, isn't it? :) Have fun! Bored with hearts and cards but still want to make something to please your friend? Make a layout then! :) The inspiration is from Malin Tivlin. Great combination of colours makes this layout rich, baroque and elegant. The sign says: "We have been best friends since ages."